Lucas Alario, Bayer Leverkusen’s latest signed striker, has made the headlines yet again. This means that the 24-year-old has already been a hot topic in German football twice in a rather short period, all without even having made his debut for the team. The player’s situation was explained previously in full detail on the Futbolgrad Network some weeks ago, in an attempt to clarify the unprofessional way in which the transfer had been carried along by River Plate and Bayer Leverkusen alike. After the German club decided to pay Alario’s release clause with a considerable amount of assistance from the player’s agent, River argued that, according to FIFA’s rules and regulations, a player cannot be transferred should his or her team be in the middle of the competition. Quite convenient. You can read all about the quarrel here, including the statements from the legal representatives of both parties. Even though Alario has been training in Germany for more than two weeks now, River have refused to provide the number of the bank account in which Leverkusen was supposed to deposit the payment for the player’s release clause. Sounds like something a spoiled child or a spiteful ex-partner would do, right? Despite River Plate’s capricious attempt to frustrate the transfer, Alario requested the AFA’s assistance to complete the operation by transferring the funds through the arches of the association, and they delivered (which is something entirely remarkable these days). With the issue of the money out of the way, the only thing that Alario needed to gain authorization to make his so desired European debut was River Plate’s Transfer Matching System (TMS) authorisation, the document that would have allowed FIFA to give Leverkusen the green light. You guessed it, River never sent the document and have exceeded the deadline set on September 19 by a country mile now. Evidently fed up with the childish nonsense, Leverkusen’s manager Heiko Herrlich, who was logically waiting for his new asset to be usable against this weekend’s rivals Hertha Berlin, expressed his discomfort with the comings and goings, accurately describing them as “an indignant situation”. Consequently, since they could not foresee a prompt resolution to the conflict, it was Leverkusen who decided to ask for FIFA’s help. Yesterday, although the legal debate is still open, Bayer Leverkusen received FIFA’s special authorization to make use of their new signing. This permission allows the club and the manager to register Alario in their squad for Sunday’s game against Hamburger SV. It is imperative to clarify however that this permission is only temporary until River Plate send the official TMS document. In the meantime, both the club and his fans will be able to enjoy their new signing, right in the nick of time before they lost their last remaining of patience. So if you have made it this far, you will very likely be wondering if this man is worth such a fuss. Let me introduce you to one of the most efficient and resourceful hitmen in South American football. Lucas Alario was born in Argentina in 1992, almost exactly 25 years ago in Santa Fe, 330 kilometres outside of said province’s capital, in a town called Tostado (that’s how you would ask for a toasted sandwich in Argentina, always good to know!). Before turning into the brand-new number 9 of a regular Champions League contender, his beginnings were as humble as you would expect from any Argentine footballer. At the age of 14, he would always be found playing football at his local club San Lorenzo de Tostado located opposite to his parents’ house, where he took his first steps as a professional footballer. Given his prolific career as a top quality player, Alario is the most distinguished and illustrious personality in his hometown. His football club, of only 1500 members, is even organising a football tournament that shall last three days: the Lucas Alario National Football Tournament to be held at the club’s venue later this year. The club’s president Luis Acosta even spoke to Argentine news site Infobae and confirmed their love for Alario: “He was born here (as a footballer). Every time Alario plays we put on River shirts”. Interestingly enough, this small club may be some paperwork away from getting a considerable cut of Alario’s release clause, since they are the owners of the player’s formation rights. The sum is said to be around 20 million Argentine pesos, which is the equivalent of a million dollars. For such a small club, it could be a historical achievement upon the arrival of its centenary. The president also referred to this stating that they will fight for their right yet made clear that “the merit is all his (of Alario), all we did was being lucid enough to sign a document at a given moment”. Back in 2015 when River Plate announced the signing of some Lucas Alario from Colón de Santa Fe, I would be lying if I said that anyone knew who he was apart from his parents, because no-one did. Imagine, then, the sort of expectation River fans had for the big man, with his clumsy-looking shape and his innocent, good boy face. Again, I would be lying if I said that anyone had so much faith in him to believe that the kid would turn into an undisputed idol in the country’s second greatest football club. What makes Alario’s stint at River even more remarkable is the fact that he proved his quality before getting any regular playing time, scoring most of the crucial goals that allowed River to conquer América in 2015. He certainly gave the River fans no time to miss the likes of Fernando Cavenaghi and Rodrigo Mora, the older idols he had been brought to replace. With big shoes to fill, his first start came in no less than the first leg of the Copa Libertadores semi-finals against Guaraní. It was a dream debut for Alario, who assisted his team-mates twice in what was an utterly superb demonstration of his aptitudes both as a striker and as a reference up front, capable of scoring and assisting as well. The goals, however, would not take long to arrive as he scored his first in the return leg a week later after he chipped the ball over the keeper following a great long pass, isolated in the context of that game in which River were trailing and on the brink of conceding for a second time, something that would have tied the global result. 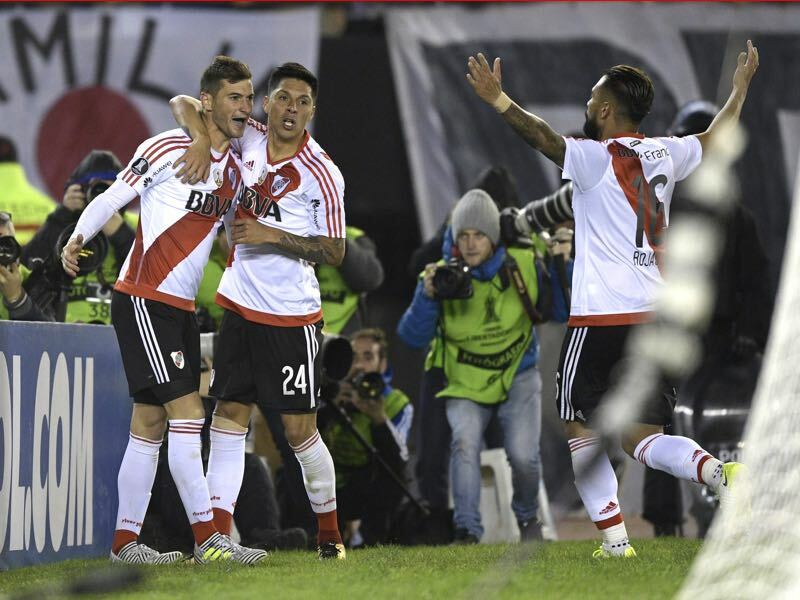 In a moment of adversity for River, Alario appeared and with his elegant lob secured River’s ticket to the final against Mexican side Tigres, against whom he scored as well. By the end of the second leg, River were lifting their third Copa Libertadores, and Alario was already an idol. The important goals would remain Alario’s as he managed to get River to the Club World Cup final that same year against Barcelona by scoring against the Japanese revelation Sanfrecce Hiroshima. It is truly meritorious from a player to become such a crucial piece of his team is such a short fraction of the time. Besides, Alario’s results have not disappointed to date. Since joining River, he was never questioned compared to other players since he is always contributing, even if he doesn’t score. The man of the important goals, together with a great team, would be a fundamental piece of the River side that also won the Recopa Sudamericana and the Copa Argentina in 2016, scoring a hat-trick in the latter. It is a pity that his relationship with most River fans ended in such a bad way after his somewhat secret transfer. In spite of this, however, and even though some dare to hate a player who brought them infinite joy for wanting to test himself in Europe, el Pipa’s legacy is well backed by his record of 41 goals in 82 official games, an unquestionable production in both local and international football. In any work environment, one would suppose that better conditions mean more productivity with expected superior quality. In football, where your body is your tool, you tend to learn more when your supplies are scarce, and your surroundings turn more hostile and rough. Alario’s first season as a regular starter during his Colón stint was one of the most disastrous in the club’s history, as they were relegated at the end of the 2013-14 season. Far from being an obstacle, it meant an opportunity for the big man for he got considerably more playing time the following season in the Nacional B, a league where centre-forwards are at centre stage due to one of the football’s worst habits yet most long-standing resources: launching the ball forward avoiding risks and hoping the number 9 will pull a rabbit out of the hat to give you the three points. As we mentioned before, Lucas Alario is some jack of all trades, capable of dealing with the rival’s tight marking, while also building up plays and being in place to finish any chance he gets. You might see him steal goals as well; he did it once or twice in Argentina, so Leverkusen strikers beware. Lucas Alario is a great mixture of the lethal South American striker and the resourceful European forward, functional to his teammates. Said experience in the second division contributed to his development in an excellent manner and is something which should be taken into account since it is something not often seen in the European game. It is evident that after Chicharito Hernández’ departure, Bayer Leverkusen have not managed to find a proper replacement for his contribution in front of goal. Being a club with a tradition regarding centre-forwards, we will not say that Alario is coming in to be what Stefan Kießling once was. However, he is someone that will provide the team with plenty of new alternatives when it comes to creating goals. Tall and strong features combine with smooth movement and elegant, clinical finishing. Lucas Alario is a player his teammates will enjoy playing with, especially wingers and those who act as suppliers since from now on they are going to have someone who will probably send anything you toss him to the top corner. Alario is expected to make his debut on Sunday against Hamburger SV. Regular playing time will be vital for his development. Judging by Leverkusen’s list of signings, the aim is to acquire young strikers with a lot of projection, something which might benefit Alario in the short term given that Leverkusen will need experienced strikers to affront the Bundesliga this season if they are looking to return to continental competitions in 2018. Regarding River Plate’s complaint, only time will tell in whose favour this situation will turn out. Like it was already mentioned above, the fact that Alario is now allowed to play officially does not mean this conflict is anywhere near a resolution, even more, knowing South American football’s attitudes. It is unclear where River Plate are trying to get with all these efforts which could cost them being sanctioned should FIFA fail in favour of the German club. 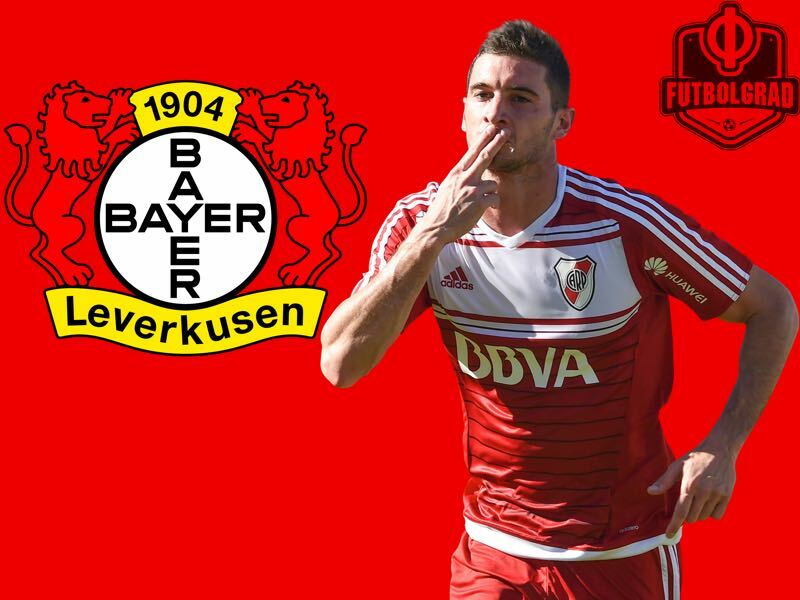 Bringing their ex-player back was discarded as a valid idea since the day Alario posed with Leverkusen’s shirt. The remaining options are that they are either battling to get Leverkusen sanctioned economic and competitively or that they are aiming to gain the right to sign a player to replace Alario, even though that would put River into conflict with any club they try to bring in a player from, since all the breaks in world football are over and the transfer window closed weeks ago. This, as well, makes us realise that River’s demands make sense, contrary to what we all would expect coming from CONMEBOL territory. FIFA’s resolution will be crucial to deciding if all this shameful circus was any useful.